Everybody knows that there is huge demand for highly skilled specialists in the IT industry. Customers from the USA and Western Europe require IT services for their countless projects. This market rapidly evolves and new technologies appear every day, which requires constant development and updating. Therefore, IT companies seek for highly skilled specialists by offering them higher salaries, greater opportunities for growing or a broader social package. But what do the IT specialists really value when choosing a company to work for? There is a friendly atmosphere in the company. Good relationships with colleagues, staff of other services and departments. This year a young but fast-growing company TechMagic has joined the listing of the top five IT companies based in Lviv, together with such well-known giants as Perfectial, Intellias, SoftServe and Epam. "It is important for everybody to grow, both personally and professionally. That’s why we encourage every colleague’s growth. Recently we have created Mobile and Web Competence Groups, where programmers are talking about the best practices that have been used in our projects. 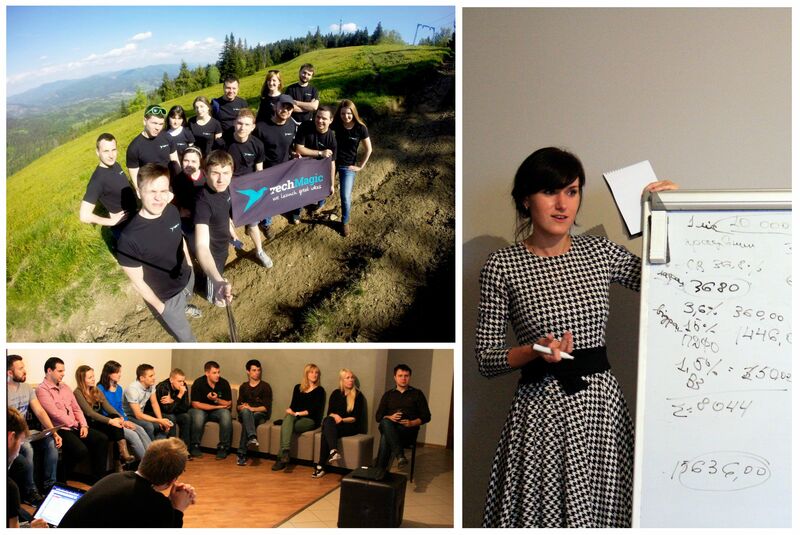 In addition, we organize TechTalks regularly, where everyone can practice their technical and public speaking skills. For example, we have recently discussed the release of Node.js 4.0 and the opportunities of using it in our R&D projects. What’s more, we encourage the participation in various professional events and conferences" - said Oleg Dats, TechMagic co-founder. "TechMagic is a great working environment with challenging and fresh projects. You work side-by-side with people that can inspire you and teach you something new" - said Anton Semenyuk, TechMagic's iOS Ninja. In the mobile area TechMagic is going to launch a set of trainings for young IOS developers, where they will obtain practical skills with the mentorship of experienced programmers and even the opportunity to contribute to the development of an actual project. Follow the company updates on its Facebook page.